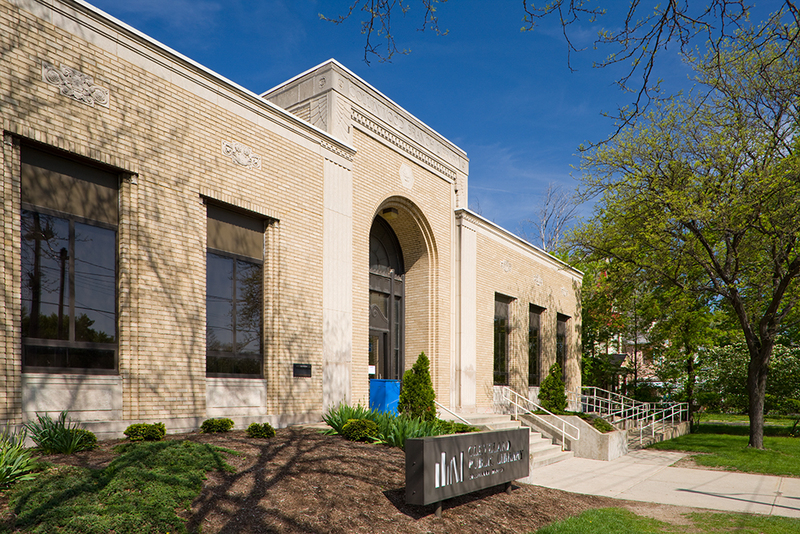 In 2018, Cleveland Public Library initiated a comprehensive, multiyear capital project to improve and update its branch libraries throughout the city. The first phase of this project—making critical maintenance repairs to nine branch libraries—wrapped up just in time for the new year. The neighborhood libraries receiving repairs in 2018 included Lorain, Glenville, Jefferson, Harvard-Lee, Carnegie West, Addison, Fulton, Langston Hughes, and Collinwood. As the final branch to undergo maintenance work, Collinwood Branch reopened on December 29, 2018, marking the end of this initial stage of the capital improvement project. According to Eric Herman, Capital Projects Manager, this first phase focused on the often invisible yet necessary maintenance that older buildings require, such as electrical, plumbing, and roofing work. The buildings were also brought up to code for ADA requirements to ensure restrooms, entrances, and all library facilities are accessible. While repairs were in progress, each of the nine libraries closed to the public for a period ranging from several weeks to a few months. Patrons were directed to nearby branches until the maintenance work was completed, and staff were temporarily reassigned to other libraries within the system. As branches reopened to the public, staff hosted community welcome-back receptions featuring cake, refreshments, and entertainment to thank patrons for their patience and support. Crystal Tancak, Branch Manager at Lorain, says her branch received accessibility and HVAC upgrades, reading area lighting improvements, and plumbing and electrical circuit and control upgrades. The repair work completed in 2018 signals the beginning of more exciting changes that are still on the horizon. In the years to come, Cleveland Public Library will embark on the process of re-envisioning its neighborhood libraries. It all starts in 2019, when the Library reveals its ten-year Master Facilities Plan, which will spell out future plans to reimagine all branch libraries throughout the system. The scope of these upgrades will be more extensive and visible than the repair work made in 2018, with the aim to transform the Library’s branches to better meet emerging service patterns and needs.